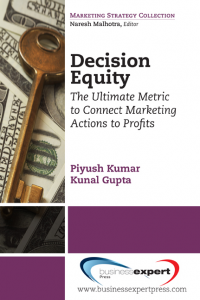 Dr. Piyush Kumar is associate professor of marketing at the Terry College of Business at the University of Georgia and currently a visiting associate professor of marketing at the Wharton School of Business at the University of Pennsylvania. He is also the president of Stratistics Inc., a marketing strategy and analytics firm. His areas of expertise include brand management, service strategies, marketing analytics, and linkage analysis. He is the co-creator of the Action-Profit-Linkage model and holds a PhD in marketing from Purdue University and has previously been on the faculty at Vanderbilt and Rice Universities.